You know it’s officially autumn when three things come together. One, cold weather. Two, the leaves start to turn that lovely combination of yellow, red and orange. And three, craft brewers begin to ship the pumpkin ale. And in honor of this season, I intend to spend it sampling as many seasonal beers as possible. These will include brown ales, Oktoberfest lagers, and most importantly, pumpkin ale! Nothing says fall, thanksgiving or Halloween like a pumpkin in a glass. And if it should come at 5% alc/vol, then so much the better! 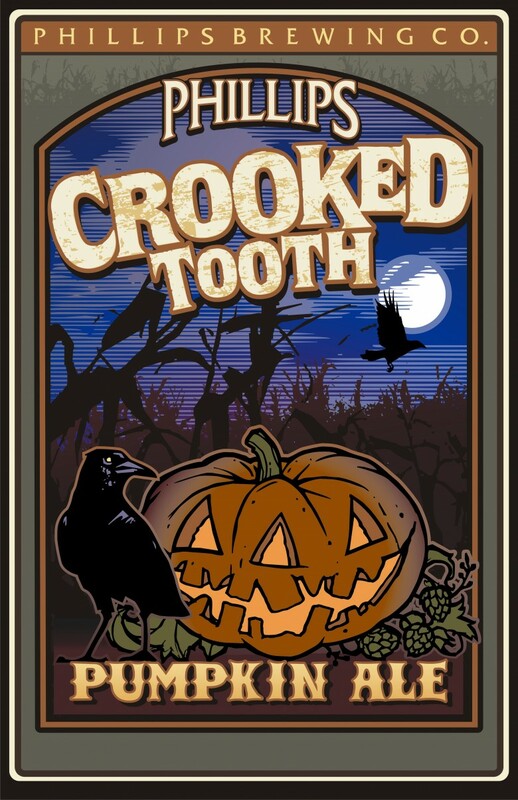 And to start things off right, I selected a brewery notorious for their seasonal and limited release beers, Phillips Crooked Tooth! Overall, I was impressed with the flavor of this particular pumpkin ale. It was flavorful without being overpowering, the malts were sweet but not too sweet, and the spice palate was highly appropriate. All in all, a fitting accompaniment to turkey, stuffing and pumpkin pie, or just plenty of sugary snacks!